Ericka Cherrie is an innovative and uniquely creative hair stylist who has worked with a number of incredible photographers, television personalities, athletes, and other great artists whose work can be seen in a variety of runway shows, publications, and lookbooks. Her love for styling hair started at an early age when she realized that she had a natural aptitude towards creating and recreating styles that she saw in magazines and on runways. As a result, she jump-started her career in the hair industry at the age of 14. Now, in her 20th year of hair styling, she has a wide range of experience working with notable artists, TV shows, movies, commercials and of course, her salon clients. On the runway, she has been backstage for several seasons of the MBNYFW with designers like Marc Jacobs, Byron Lars and Degen. Ericka takes direction extremely well from creative directors and can bring any vision to life while still maintaining her voice within each project. Ericka gives her clients nothing but the best and is appreciated in the industry as an innovator; as she was voted and won “Maryland's Hairstylist of the Year” award. 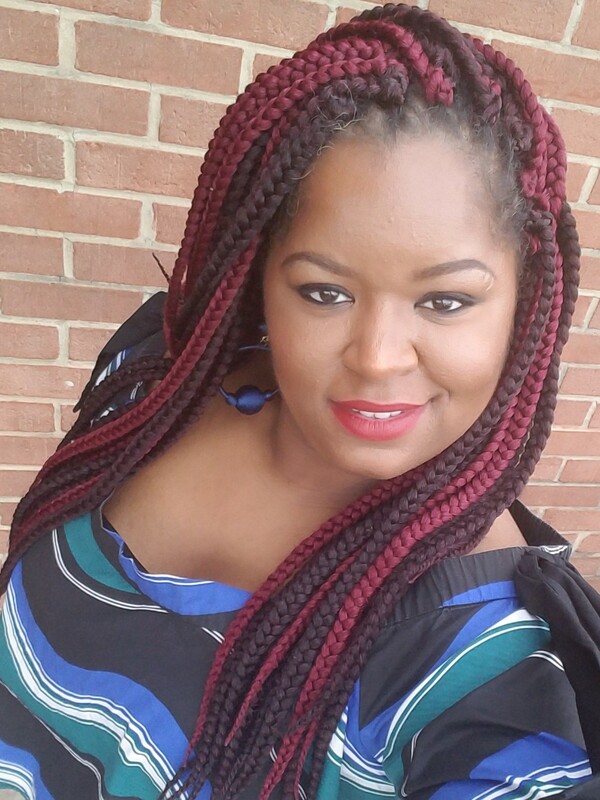 She also educates as a texture specialist and brand ambassador for the ORS hair care brand and when in the salon, Ericka loves providing her clients with a relaxed atmosphere that caters to each individual’s hair or makeup needs. Her motto is "Beautiful hair starts with healthy hair!" The attention grabbing personalized style is just icing on the cake. Her vision is to have each client learn simple tips and tricks to keep their hair and skin looking fabulous until their return visit. 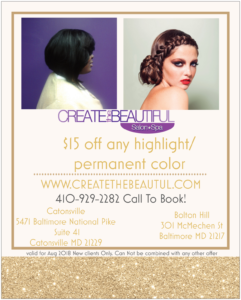 Appointments can be made by phone at 410-929-2282 or by booking online at www.createthebeautiful.com. 30 Steps for Startups! A free, online, interactive training session for startups hosted by Business Adviser, Will Holmes. 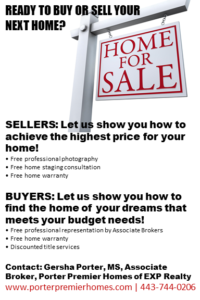 August 29, 2018 7:00pm Register today! Limited Space.